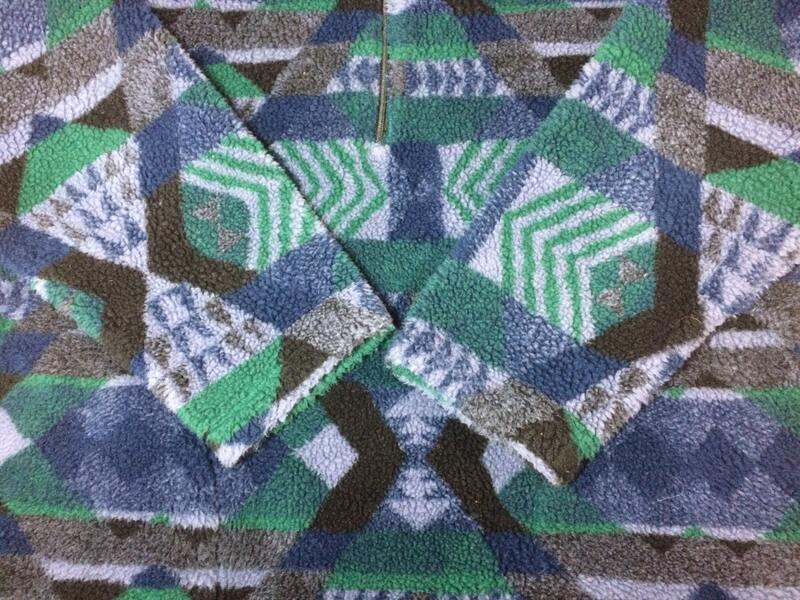 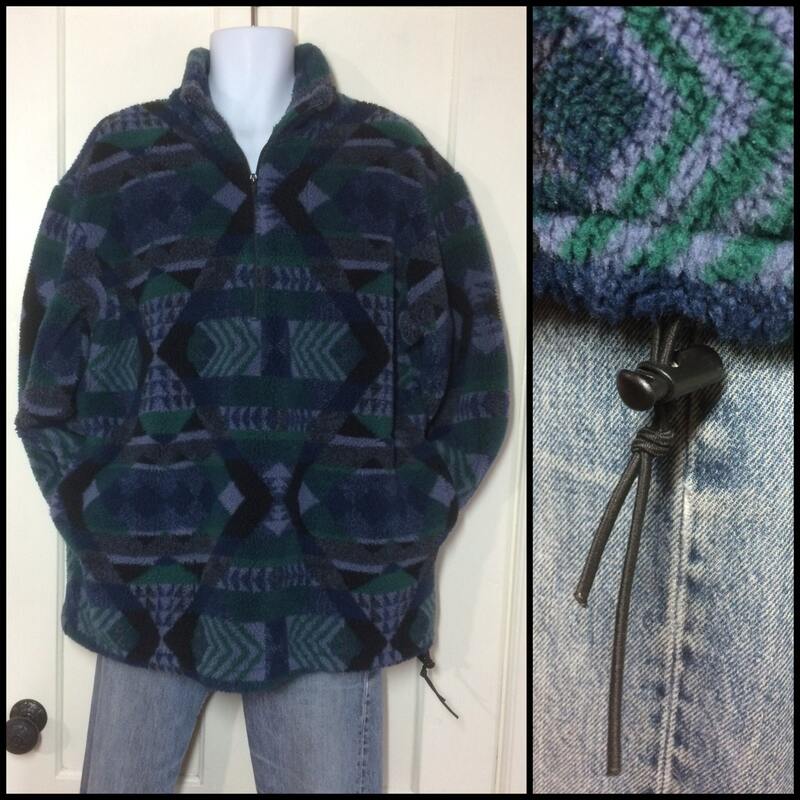 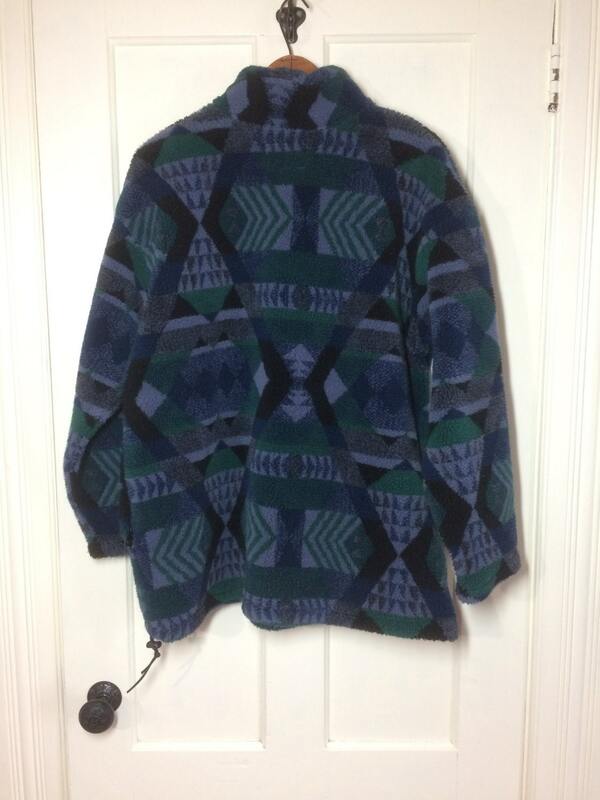 Here's a deep pile pullover fleece jacket from the 1990's. 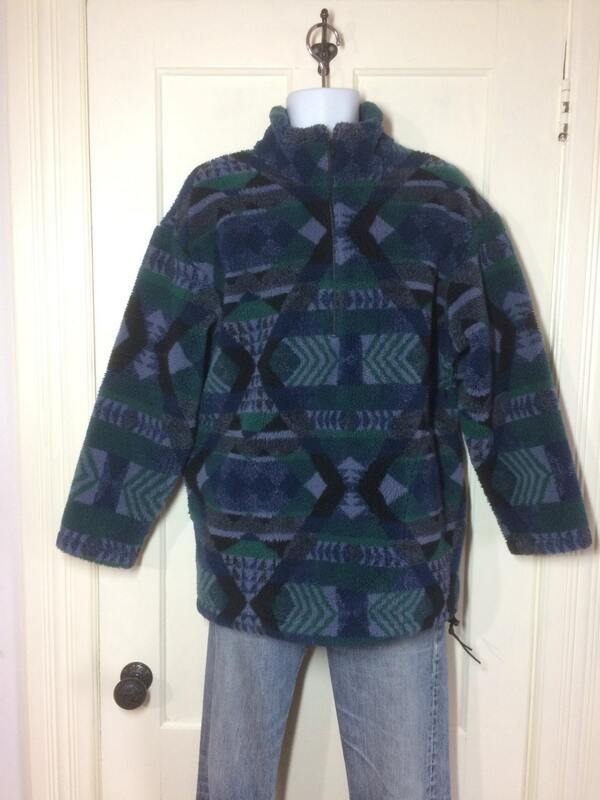 It has a drawstring at the bottom, 2 pockets and a half zipper in front. 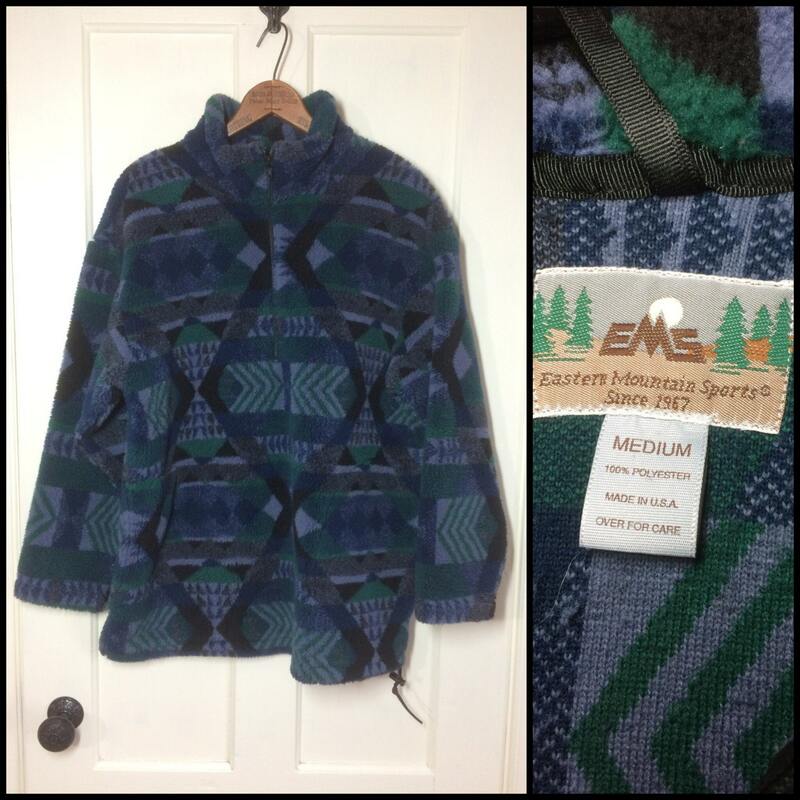 it's in excellent, used condition, no damage.